The Pass A Grille Chowder Challenge happened last weekend, November 8th and 9th, bringing a lively event to a beach community that is a bit different from the rest of its neighbors on the coast. 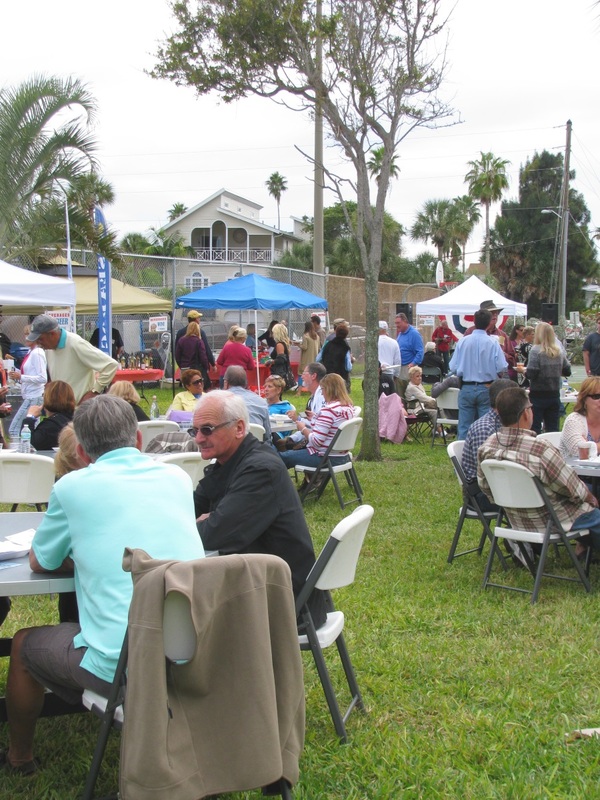 Pass A Grille is a laid back Florida beach community, sitting on a relatively small section of island. It is the southernmost inhabited section of the barrier islands along Florida Gulf Coast of Pinellas County. It is located just south of St Pete Beach and just north of the uninhabited Shell Key. Pass A Grille might not be the kind of place where you wind up often, it being the end of the road, with no way out other than the way you came in. The fantastic white sands of the Florida Gulf Coast line its shores, with beautiful views to the south of the barrier islands there. 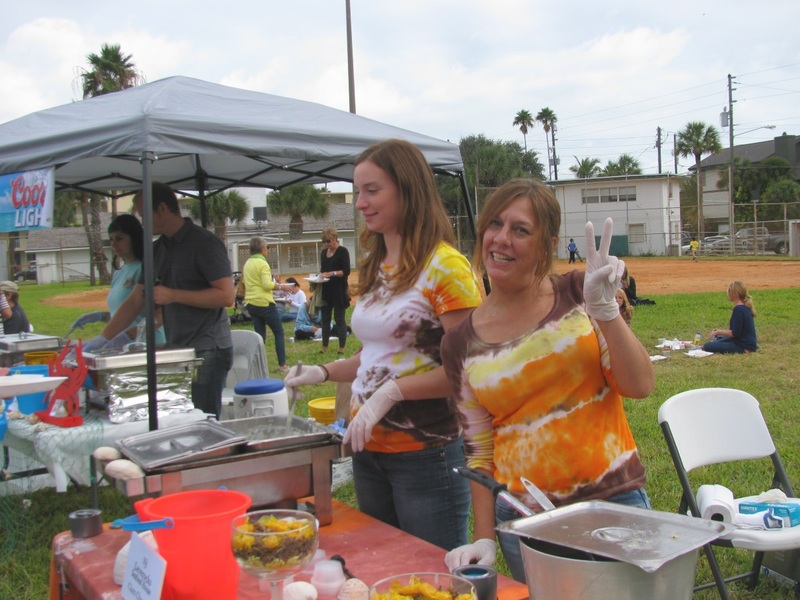 In the heart of Pass A Grille you will find Hurley Park, with a picnic pavilion, a basketball court, and a baseball field. 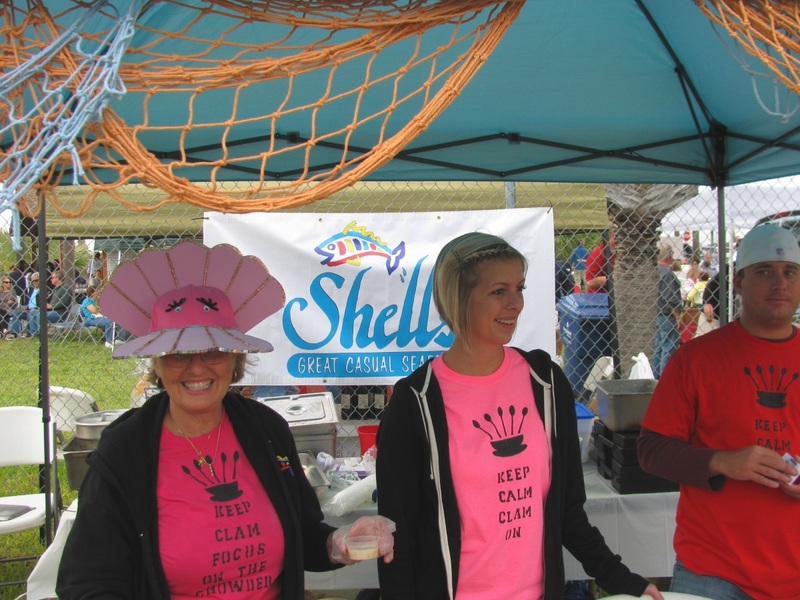 On November 8th and 9th this year, Hurley Park became the staging ground for the annual Chowder Challenge, a chowder cook-off that set area restaurants against each other in a very friendly competition. 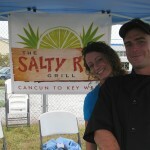 We arrived at the Pass A Grille Chowder Challenge as inexperienced novices, new to the ways of the competition. Hurley Park was filled to the brim with chowder lovers who had arrived before us. Vender tents lined the perimeter, with the rest of the grass area occupied by dining tables, every one filled with chatting chowder challengers. 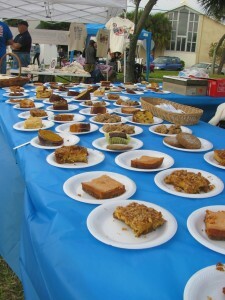 Souvenirs were available along with an inviting table of deserts just outside the gates of the baseball field. Entering the main event area cost $20, an entrance fee that purchased a wristband pass into the chowder sampling area. We paid while still in mystery as to what we would get. 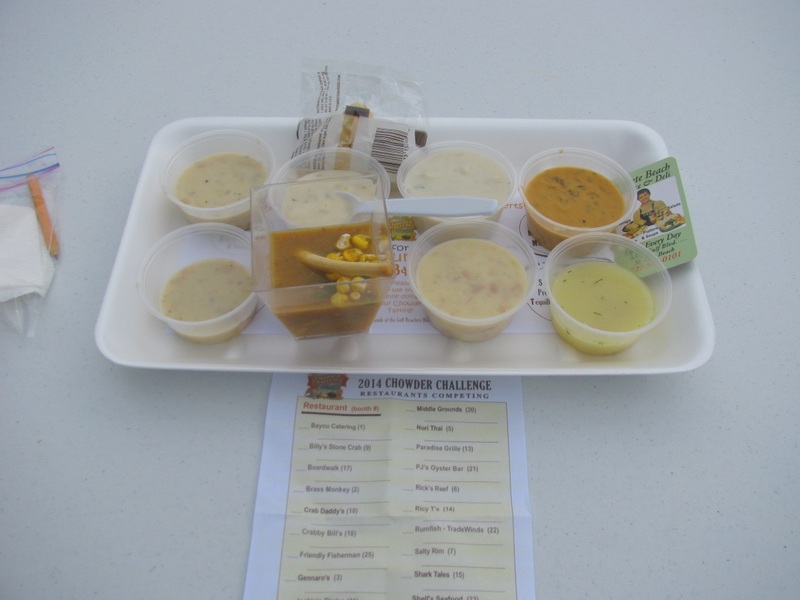 To put it simply, the Pass A Grille Chowder Challenge wound up being more than worth it. 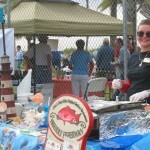 Entering the baseball diamond we saw the participating restaurants for the Pass A Grille Chowder Challenge lining the outer edge. Plenty of room was left over for milling in the center of the field, a space used by many to aim for the next bowl of chowder. We were handed rectangular trays with papers set on them that showed the names of the competing Tampa Bay area restaurants. The labeled tray was accompanied by a score card. It took only a moment to understand the game. 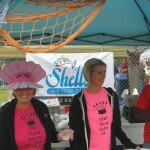 Under pop up canopies the restaurant representatives waited with vats of chowder ready to serve the hungry crowds. When we visited the first table, we were served a tiny cup of chowder, placed carefully over the restaurant name. We went from table to table, collecting more of the small cups, placed over the corresponding names of the restaurants. 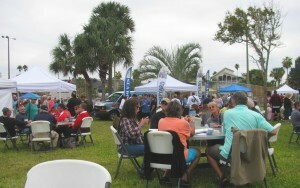 Then it was off to taste the chowder at the dining tables spread across the lawn. 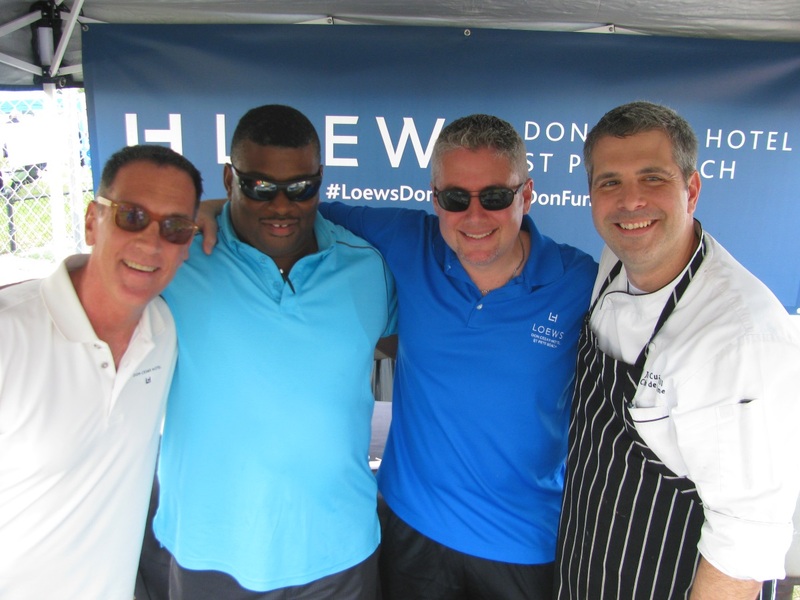 It was time to decide who was king of the Chowder Challenge. 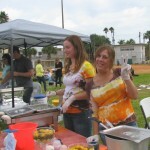 The Chowder Challenge had some great competitors, including some of the best restaurants in the Tampa Bay region. One of the remarkable characters of the event is that every single booth had smiling participants, happy to talk to event attendees or pose for photos. We did our best to catch every name, and to taste every chowder! If we missed your restaurant at the Chowder Challenge or somehow left off your name, please let us know and we will add you to our list! Our attempt at picking a winner at the Pass A Grille Chowder Challenge went well – at first. With the first eight chowders to choose from, we picked our winners. When we went back to sample eight more, the trouble began. There really weren’t any bad chowders. On the higher end of the tasting scale were some of the best chowders we’d ever tried. 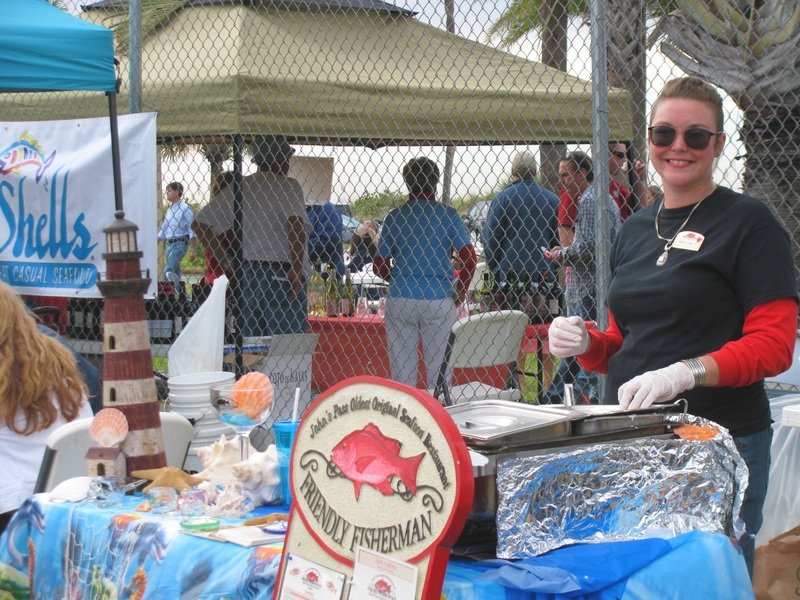 Some topped out the list on traditional style chowders while others served up recipes we hadn’t heard of before, such as the Rumfish version of Caribbean Lion Fish Chowder or the Nori Thai chowder which included coconut. 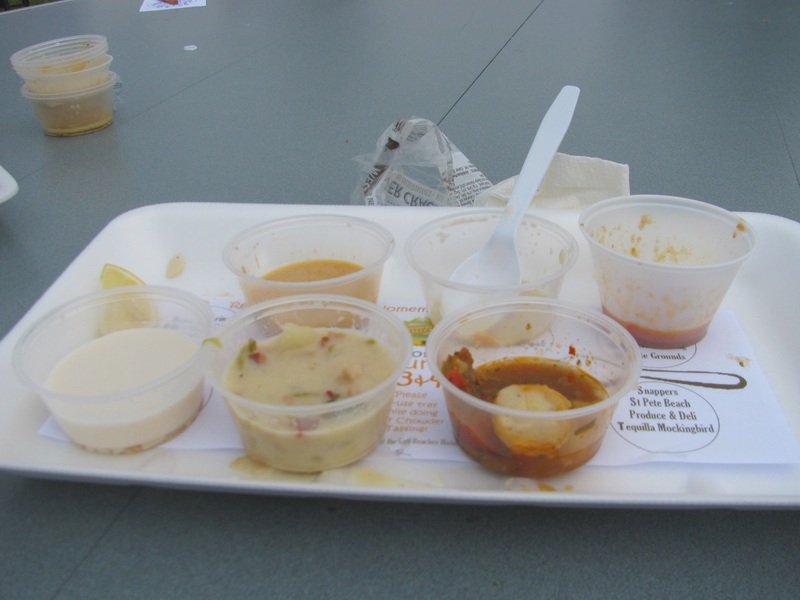 By the time we were done with our second tray of samples, we had to go get more score cards because our first ones were destroyed with too many conflicting marks – and yes, they had chowder on them. The final scoring was tallied via plastic gold coins, handed to us when we purchased our entry. Attendees received only three of the golden coins with which to vote. Each restaurant table had business cards or menus to remind us who they were, but they also had plastic beach buckets. The buckets were for the gold coins. Attendees were to choose their top chowders and drop the coins off at their three favorite restaurant booths. We grudgingly eliminated the runners up and dropped off our coins. Because we also made a mess of the second score cards, we can no longer tell you where those coins went. 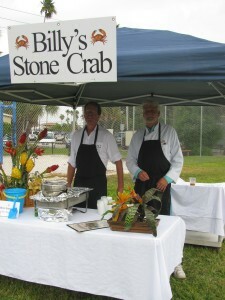 Our personal favorites were Ricky T’s, Salty Rim, Shells Seafood, Brass Monkey, Leverocks, and Loews Don CeSar, with our unique-recipe favorite going to Rumfish Restauant’s Lionfish Chowder. We hope the others will understand. 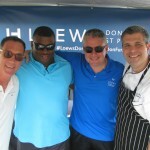 We left the Chowder Challenge with full bellies and smiles on our faces, thanks to all the great chowders. 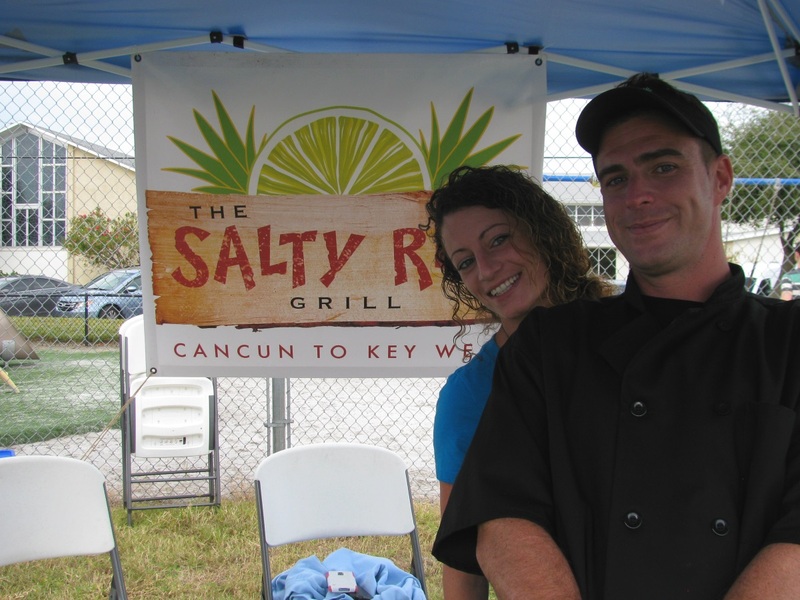 We will return next year to the Pass A Grille Chowder Challenge and here is why. 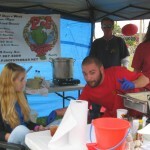 The food was remarkable, giving us a wide variety of the best chowders our region had to offer. Despite the miniature size of the bowls, we were eventually unable to get to the bottom of the final samples, so it was satisfying for the big eaters too. 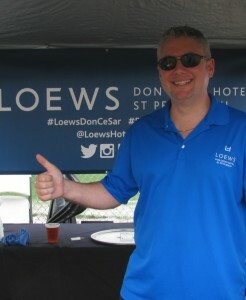 The restaurant participants were all smiles, happy to be there and very personable when approached. Further, and possibly best, were the fellow attendees. The tables were large, fitting more than one group at a sitting. When we sat down, the conversations were easy to start because each person attending was also sampling the chowders. The exchange of ideas began immediately, concerning which chowders were best, and which restaurants had cooked them. 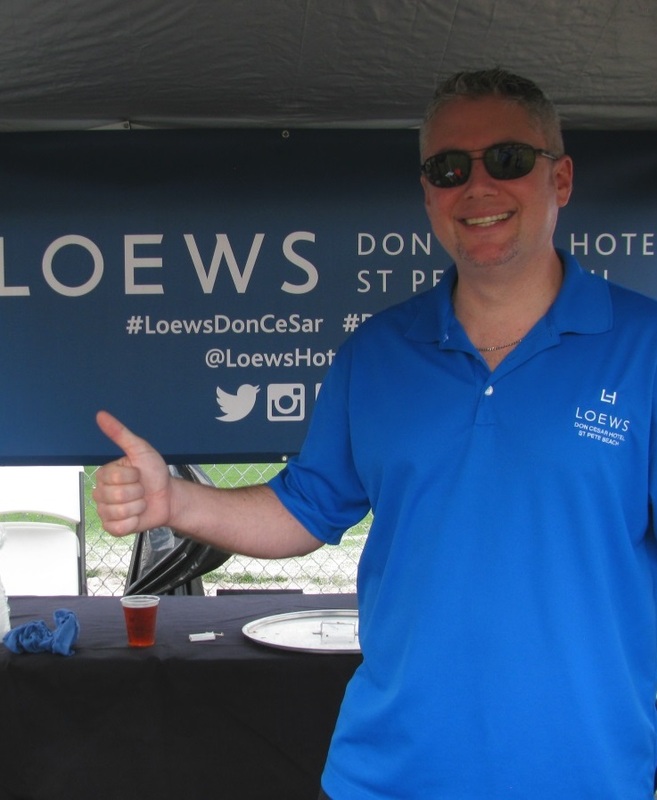 Because of the constant flow of attendees moving from the chowder serving area to the seats outside the baseball field, we wound up sitting in two different locations, each time striking up conversation with other happy chowder tasters. 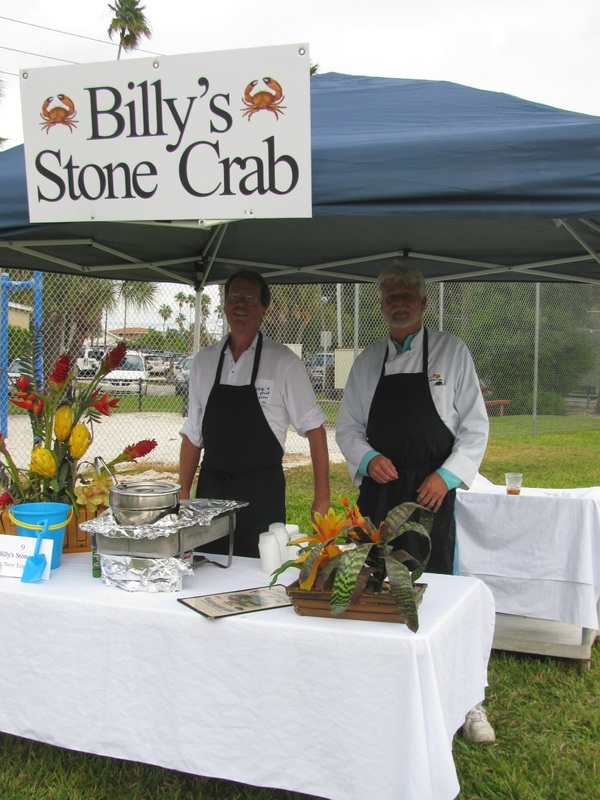 For all of those reasons, we are looking forward to the Pass A Grille Chowder Challenge next year and we hope to see you there too. 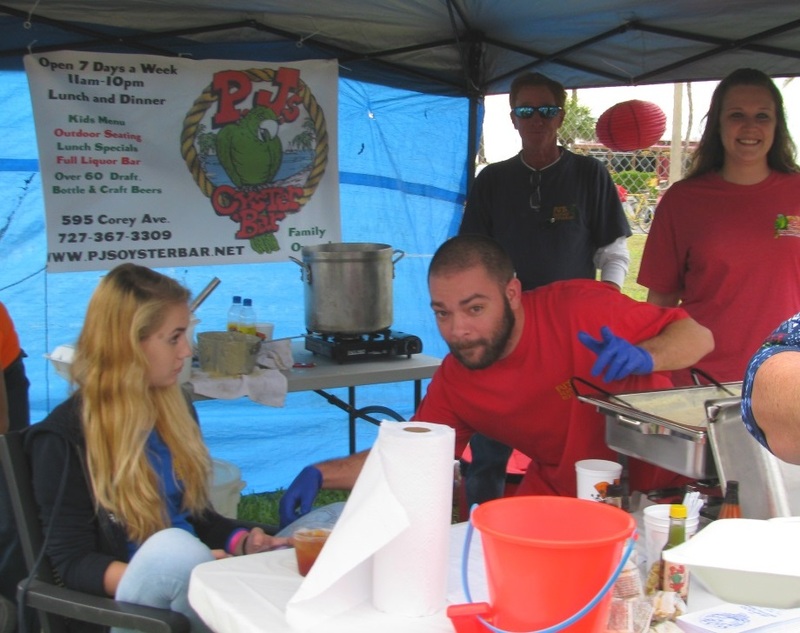 2 Comments on "Pass A Grille Chowder Challenge"
You forgot to post and mention Mayster’s Catering as a competitor and our Chorizo and Roasted Corn Chowder…..we did quite well…..thanks! I actually remember a corn chowder. It was good. The event was amazing in that, there were so many good soups to choose from, it actually got confusing -and disappointing, when you had to set a favorite aside while tallying the scorecard. Thank you for writing in Mayster’s Catering.